“The fact is, putting coal miners back to work is no more possible from a business standpoint than putting telegraph operators back to work taking Morse code or putting Eastman Kodak employees back to work manufacturing film rolls. Politicians who ignore these market realities and make promises to coal communities they can’t keep are engaged in something worse than a con. They are telling those communities, in effect: The best hope they have, and that their children have, is to be trapped in a dying industry that will poison them. I don’t believe that’s true." 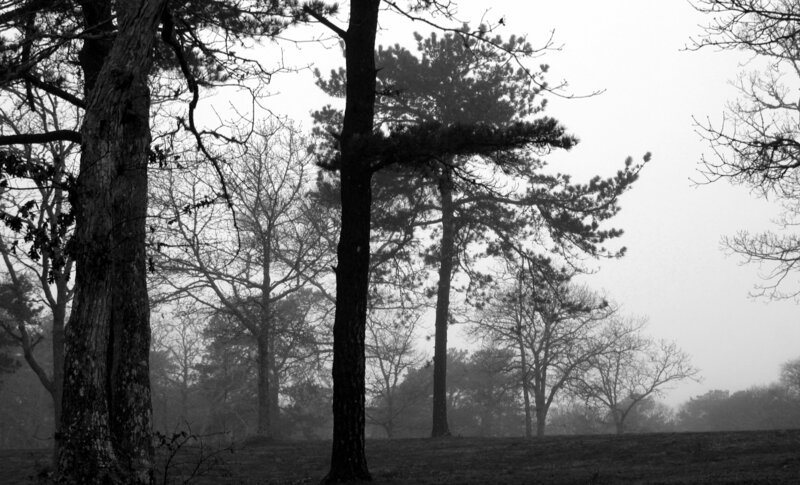 "I took this picture while on a walk in a meadow in the middle of my neighborhood. Normally, I walk my dog here, but when I went with the purpose of taking pictures for a theme of “discovery”, I began to see things differently. I didn’t realize how many trees there were in the meadow and I didn’t see the pure beauty of nature before. I’d never walked there to actually look at the nature. It was eye-opening." Olivia was one of six Special Distinction winners in the 2017 edition of our high school art contest. View the rest of the entries, then check out the Winners' Gallery, complete with written descriptions by the artists themselves! Sunday, Jan. 28, 1:00-4:00 pm, West Tisbury. BYOB in style after attending this sewing workshop led by Sarah Vail at the West Tisbury Library. Free, but registration is required, and you must bring your own materials (details at library website). For adults and kids accompanied by an adult with some knowledge of sewing. To sign up, call the library at (508) 693-3366. Wednesday, Jan. 31, 5:30 to 6:30 pm, Edgartown. After dark, bats–Earth's only mammal capable of true, sustained flight–may be everywhere around us while remaining hard to notice. Join Felix Neck for a full moon walk to get a better look and listen to these amazing creatures. $10 (members $5), for more info see website or call (508) 627-4850. In the meantime, read all about our local owls and check out more amazing photos by Lanny McDowell in this 2014 MV Magazine story. Sunday, Feb 4, 1:00 pm, Oak Bluffs. Land Bank staff lead a guided walk from Trade Wind Fields Preserve to Farm Pond in Oak Bluffs. The walk will last from 1 to 2 hours, and is held rain or shine, so dress for the weather. For directions and more information, see Trade Wind Fields at Land Bank website or call (508) 627-7141. 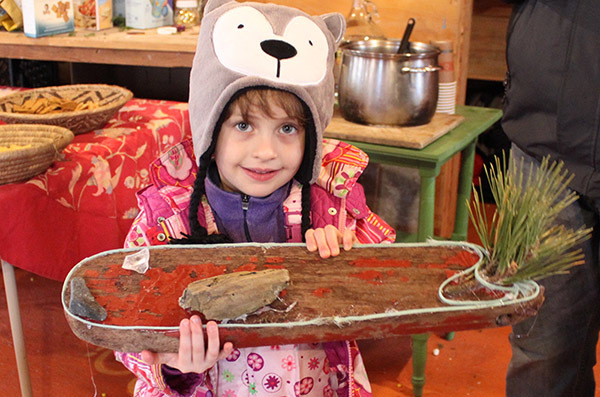 A frozen beach, hot cider, and cool crafting were the attractions at last week's Winter Walk. VCS teamed up with Sense of Wonder Creations in Vineyard Haven for an adventure in nature exploration and art. If you missed it, check out the photos! Our next Winter Walk will be a return trip to the Frances Newhall Woods Preserve on Sunday, Feb. 11. We hope to see you there! 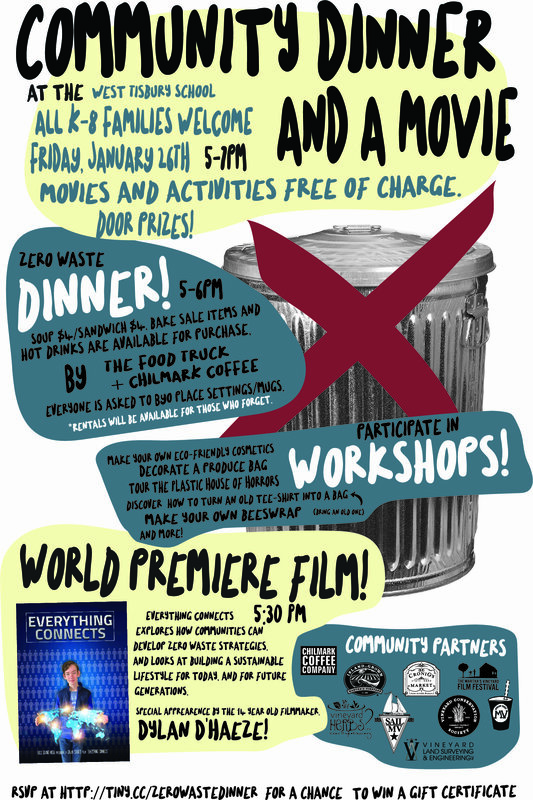 This Friday, join us to celebrate the world premier of Everything Connects with a zero waste dinner, activities, and games at the West Tisbury School. Workshops during the event will show families how they can save the planet through shooting hoops, mixing cosmetics, decorating produce bags, making beeswax wraps, and more. For the brave, there will also be a chance to tour the plastic "House of Horrors" created by students at the WT School. For younger kids, there will be a screening of Papa Cloudy's Orchestra. Don't forget to bring your own place setting for a special Zero Waste dinner. Josh and Angela Aronie's Food Truck will have tomato soup and grilled cheese for sale, there will be hot chocolate and coffee from Chilmark Coffee, and treats from the WTS Student Council Zero Waste bake sale. Our special guest will be Dylan D'Haeze, the creator of Everything Connects. The fourteen-year-old filmmaker, who has previously produced a series of documentaries called Kids can Save the Planet, is coming from his home state of Washington to join us for the event. His newest film explores how communities can develop zero waste strategies, and looks at building a sustainable lifestyle for today and for future generations. The entire evening is in support of the Zero Waste movement underway at the West Tisbury School and elsewhere on Island. 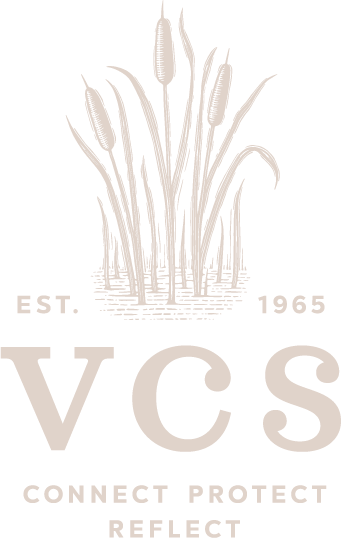 The event is co-sponsored by the Martha's Vineyard Film Festival, Vineyard Conservation Society, Sail MV, Island Grown Schools, Vineyard Land Surveying, Cronig's Markets, Vineyard Herbs, Plastic Free MV, The Food Truck, and Straw Free MV. The event is free and open to the public, from 5 - 7 pm at the West Tisbury School. See poster for more details. That is why this week’s news of a two-pronged attack on residential solar is so disappointing. In a big win for Eversource, the electric utility has successfully convinced our state regulators to allow their proposal to charge homeowners with solar panels more than $100 per year for the privilege of remaining connected to the grid. (Electricity supplied through the grid is a natural monopoly, the market for which is granted to Eversource – but with regulatory oversight, presumably to protect consumers and the environment.) The publicly-stated rationale for the charge is that people who get most of their electricity from solar aren’t paying their fair share for the benefits they receive by remaining connected to the grid: the ability to draw more than their panels produce during peak times, a backup power source in case their solar system fails, and a method for distributing their excess solar production to other users (and being paid for it). As the Boston Globe story linked above rightly points out, a case can be made that Eversource is underappreciating the value of distributed electrical production. What the Globe leaves out, though, is the bigger picture. Eversource is engaged in a long-running political campaign to decrease incentives for residential solar (for one example, last summer’s reductions in “net metering credits,” the amount solar owners receive for selling excess power back to the grid), sometimes even co-opting legislation originally intended to support residential solar toward their own ends. Taking into account the company’s broader pattern of behavior, one could be forgiven for concluding their newly-approved “demand charge” is not purely motivated by feelings of sympathy for the ordinary folk who can’t afford solar panels. Making matters worse, now fewer of those ordinary folk will be able to afford them, thanks to Monday's announcement by the Trump administration of new tariffs on imported solar panels. Here, the stated rationale – protection of domestic producers of panels, and thereby manufacturing jobs – comes off not so much as disingenuous as merely foolish. Far more people are employed in the installation of solar projects than in manufacturing, so the ultimate effect of raising prices for American customers will probably be a net loss of jobs. Of course, another effect is to encourage our continued reliance on fossil fuels; however, given the administration’s public statements, this too seems more foolish than deceptive, though that may be a matter of opinion. Copyright (C) 2018 *Vineyard Conservation Society* All rights reserved.